Ford Focus Eibach Pro-Kit Lowering Spring is the perfect answer for most frequently-driven street cars. It's their legendary spring system that dramatically improves both of the Focus's performance and appearance. The Eibach Pro-Kit lowers your Ford Focus's center of gravity, reducing squat during acceleration, body roll in corners and excessive nose-dive under braking. These Eibach Ford Focus Pro-Kit Suspension Lowering Spring Kit also reduces excessive fender-well clearance, making your Ford look just as hot as it performs. Every Ford Focus Eibach Pro-Kit Lowing Spring Kit is designed and tested by their suspension engineers and performance driving professionals, to deliver aggressive good looks and high performance handling, without ever compromising safety or ride quality. By using their proprietary, progressive spring design, Eibach Pro-Kit Ford Focus Lowering Springs provide the ultimate balance to take your passion for driving to a whole new level. Can I install your lowering springs onto my Focus by myself? We highly recommend professional installation. Especially if you still have stock springs on your Ford Focus, special equipment may be needed to compress the springs during installation. Installation on most cars should run about $40-150.00 at a professional shop. Is there anything I should do after installing springs onto my Ford Focus? Yes! As is the case when you change wheels, get new shocks, etc., we HIGHLY encourage you to get an alignment as the lowering springs will change the entire suspension characteristics of your Ford Focus. Additionally, it is rather easy to disrupt the alignment of your Ford Focus during installation. Will I need a camber kit after I install these lowering springs? Assuming the rest of your Ford Focus is stock, you should not need a camber kit if you are using standard or OE drop springs. For race springs, they MIGHT be required, but the best way to tell is to look at your tires. They should be at a near perpendicular angle to the road. If they are butterflying, that is, the tops leaning inward, and the bottoms leaning outward, then you should get a camber kit installed right away and get an alignment. I installed these springs and my car did not get lowered to the listed height. what gives? Please allow a month for your springs to "settle" into your Ford Focus. Until that time, you will not see the target height of the springs. Also, please keep in mind that the height change is meant for your OEM setup. If you have worn or aftermarket wheels, shocks, etc., the height may be different. In addition, if you travel with an unusually large amount of weight in the Ford Focus while driving, you will likewise experience a lower than expected drop. I installed your springs into my Ford Focus but I still want my car lower. Any suggestions? Usually, installing a set of aftermarket performance shocks such as Tokico can give you an extra 0.5inch of drop height after settling. Additionally, ground effects, especially lip kits can reduce the appearance of empty space beneath your Ford Focus giving the impression of being lower. Also, wheel size is another important consideration to take into effect when it comes to either lowering the Ford Focus or filling up the wheel well. How many springs come in this set? 99.9% of the time, a set will come with 4 springs. Basically, aftermarket springs will contain the same amount of springs that your stock has. In SUPER rare occasions, ride height is handled by something other than springs (like the original Acura Integra for instance), so the set will only contain 2 springs. Unless noted though, almost all of our springs come with all 4 springs: 2 fronts and 2 rears. How will my Ford Focus ride on these springs? As far as ride and performance, Eibach and H&R pretty much kick the crap out of most other spring brands out there, and clobber heated or ''cut'' springs. Between the 2 though, H&R offers a softer smoother ride, while Eibach offers stiffer better performance. What do you mean ''cut'' springs? DON'T DO IT! In the early days, people use to literally CUT their stock or aftermarket springs in order to get an extremely low drop, or to put it in the terms of the day, to "slam" their car. This is a horrible idea though as the ride will be bouncy, rough, and literally a pain in the you-know-what. Likewise, people also use to heat their springs (though torch might be more accurate term) for similar horrible effect. Are these springs progressive? And while we are at it, what does progressive mean anyway? Most springs nowadays are progressive. This means that the design of the spring is not equal throughout the length of it. Rather, some parts are smaller and closer coiled, and some are larger and farther coiled. This allows for the MAXIMUM absorption and rebound for the given spring length. If you see a set of springs and all 4 springs and space between coils are exactly identical, then it is probably not a progressive set of springs. Assuming that the rest of the suspension setup on your Focus is either stock or not overly aggressive, then you should have no problems with the law. Though some areas have regulations regarding how low your Focus could be to the ground, the springs we offer should not be enough to push you over the edge. To be safe though, please check with your local laws and measure the distance on the bottom of your Ford Focus before purchasing. How do I "angle" my Ford Focus to avoid scraping my severely lowered Focus? On the off chance that you are running extremely small wheels, have a super low body kit, or have 4 linebackers and a trunk full of lead in your car, you may sometimes find it necessary to ''angle'' your car to avoid scraping on speedbumps and getting into driveways. Though you really should never let your Focus get this low in the first place, the trick is to get one tire to touch the bump/driveway at a time, trying to change the seesaw point from the front to back sides of your car to the shorter left to right orientation. The motion involves turning one way to approach the obstacle at an angle, then turning the other way to clear the rest of your car, then straightening back out. The art of lowered Ford Focus "Angling"
Make sure no one is behind you or coming at you from the opposite direction, and that it is safe and legal to angle. Instead of approaching the driveway or bump head on, approach it at an angle (45 to 135 degrees) so that only one of your front tire engages and clears it. If space allows it, continue on this path to clear the other front tire. Afterwards, or if there was not enough space to clear the second tire, turn your Ford Focus 90 degrees in the opposite direction in order to begin approaching from the opposite angle. Keep the Ford Focus at such an angle that as close as possible, only one tire traverses the bump/driveway at a time. Watch the road Potholes, dips, and gigantic pieces of debris are your enemy. Know your route In any given plaza, there will usually be one driveway or path which is at a flatter angle or is clearer of speedbumps. Learn these paths and commit them to memory. Keep your tires in mind Proper inflation is key to keeping your bumper and chassis scrape free. Also, where possible, go with a larger series of tire to give extra distance between you and the road. Slower equals better Taking a bump or driveway fast will increase the amount of bounce your car experiences, thus increasing damage. The slower you take it, the less rebound, and the less likely you are to end up with sparks flying or pieces of your bumper getting left behind. Minimize your load If any bump ever looks TOO bad, tell your girlfriend and linebacker buddies to take a hike until you clear the obstacle. The lighter your car, the less likely you are to paint the speedbump with the bottom of your Focus. Follow these tips and your Focus will not only stay scrape free, but you will also have a nice headstart into a career as a professional off road rock crawler. Lower Center Of Gravity, Lower Vehicle 1.0"-1.5"
The Lowering Springs offered on this page are designed to specifically fit a Ford Focus produced during the following model years: 2000, 2001, 2002, 2003, 2004, 2005 or 00, 01, 02, 03, 04, 05. Please also note any specific model notes on the product title at the top of the page. the lowering springs were awesome and really made my Dodge Challenger look great. I would recommend this product to anyone looking to lower their vehicle. I have a 2012 Forf Focus hatch back with these installed. They lowered my car a full 2 inches! My factory 16's look better but my 18's will look great with less fender gap! Study guide book is exactly as listed. Looks great, fit well, fast shipping. 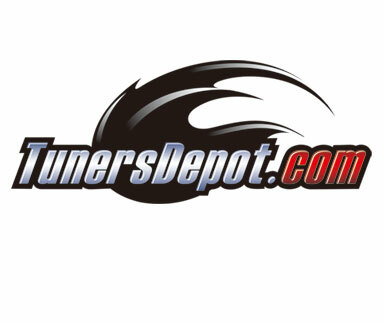 Thanks TunersDepot.com!!! Fast shipping, got what I ordered within a week. Thank you! !